If 'The Ghan' has whet your appetite for epic rail, here are seven long-haul trips that compare favourably with the Australian classic. Rail may not be your first choice when you’re in a rush, but for those looking to take in the sights – and travel in style – it remains the only way to travel. 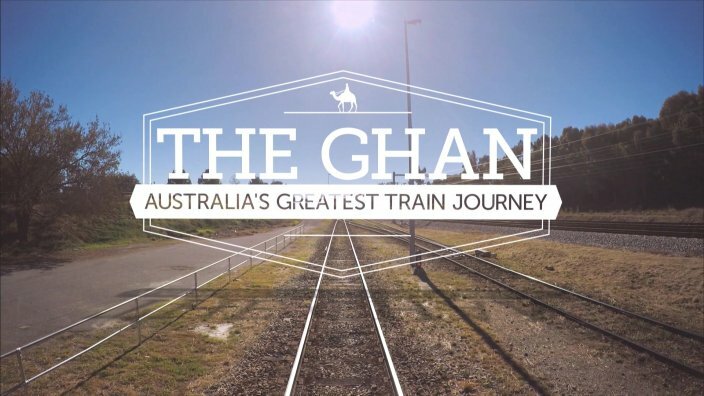 Australia’s Ghan is renowned the world over as one of the most impressive and enjoyable great train journeys. If you’re wondering what the competition is, here are seven international train journeys that claim to give it a run for its money. This is the big one – 10,555 kilometers of rail cutting across eight time zones as it runs from Moscow to the Pacific port of Vladivostok (though if you want to head south to Beijing, you can do that, too). It’s recently had a billion-dollar upgrade, which is good news, since it passes through some of Russia’s most sparsely populated (but beautiful) countryside and you wouldn’t want to get stuck out there. There are a variety of trains that travel on the line, from short-haul services to ones running the entire length. If you want to meet the locals, the Rossiya No.2 is the way to go, taking six days picking up passengers along the way, while for a more high-end experience, there’s the Golden Eagle train with fine dining, private compartments and an on-train doctor if all the fine dining gets to be a little much. If you’re looking for a way to take in the stunning scenery of the Andes in style, here's some good news: the Hiram Bingham Express passes through some of the most breathtaking mountain views on its way from Poroy (near Cuzco) to Machu Picchu in Peru. Passing by both the mountains themselves and the untamed Urubamba River – not to mention local villages and herds of llama – it’s a journey with plenty to look at outside and loads to enjoy inside, with a champagne breakfast and gourmet lunch just some of the offerings available in the 1920s-style dining car. India is well-known for its (often crowded) trains, but they run a collection of luxury services, too. The Palace on Wheels is probably the most famous – a seven-day round trip from Delhi takes in many of the most famous sights while avoiding the crowds, including the desert cities of Jaipur and Jodhpur, the Taj Mahal and Ranthambore National Park, home to the Bengal tiger. The service is advertised as being “in the style of the Maharajahs”, but while the fully restored carriages were once used by the rulers of India, they do now have all mod-cons (including showers). Bonus: once on board, you get your own khidmatagar (personal steward) to look after you on the trip. Sure, planes are one option if you’re looking to travel between Singapore and Bangkok, but if you’ve got four days to spare, why not take the train? The Eastern & Oriential Express’s signature journey takes in the lush countryside between the two cities, with options for either a seven-day trip (with stopovers in the Cameron Highlands and Huay Yang) or a two-night trip between Chiang Mai and Bangkok. Featuring restored carriages complete with wood panelling and 24-hour butler service – there’s even a veranda on the rear carriage of the 19-car train – it’s a great way to take in the view in style. Competition from the sky has done serious damage to many of America’s once-great rail journeys, but the California Zephyr – travelling west from Chicago’s Union Station to San Francisco on a two-day journey – remains one of the continent’s last great rail trips. Travelling through some of North America’s most beautiful scenery, from the plains of Nebraska through to Denver, then the canyons of the Colorado River, the deserts of Utah and the Sierra Nevada mountain range, this is one of the best ways to see a chunk of America most people would otherwise fly over. Legend has it that family owned Rovos Rail began when vintage train fan and founder Rohan Vos found out commercial rail operators weren’t interesting in letting him hitch his restored train carriages to the back of their trains, so he decided to start up his own line. They’ve been operating now for 30 years, running trains all over the south of Africa. While the two-night journey from Cape Town to Pretoria is one of their most popular journeys, it’s the 14-day trip from Cape Town to Dar es Salaam that’s a must for rail fans. With 24-hour service, luxury settings (on fully restored 1920s carriages), the train only takes 72 passengers at a time. The benchmark for luxury rail even before Agatha Christie set her most famous murder mystery here. The view outside the windows may have changed a little but the Orient Express still provides the same luxury setting and impeccable service it did a century ago. Unlike many of the other high-class train journeys mentioned here, the Orient Express – which takes in Paris, Venice, Vienna and Budapest, among others – lacks a few of the mod-cons you might expect (there’s no WiFi, for starters). But when the point is to step back in time to a period where travel was an excuse to take your time, missing out on a private bathroom is a small price to pay. The idea of filming an iconic train travelling across the outback sounds simple, but was a complex production following the 2997km train journey. Jessica Mauboy performed on the world stage as a guest in 2014, but this time… she’s chasing Eurovision glory. The Danish star of 'Ride Upon the Storm' is consistently in the best series on television.